The consistently engaging Schumpeter column in The Economist dissects the business flop and identifies three sure-fire ways to fail. 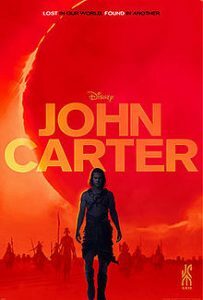 The column claims that the current Disney box-office flop, John Carter, demonstrates that the company is employing the right creative strategy. How can this $300M stinker be the right strategy? Because the film represents a calculated risk with huge upside. The downside is considerable , too, but it is finite. Disney framed the opportunity for a merchandise-rich, sequel-laden franchise. But the U.S. marketplace stayed away in droves. The point is that innovation does involve risk. But the fear of failure presents more downside than not innovating at all. My fearless prediction: John Carter will eventually recoup production costs. Maybe not in the U.S. Maybe not in the next four weekends. But it will eventually turn a profit. With the right branding…it still can be a huge global success.